It’s fun time as Panhellenic President Jill Reason, First Vice President Michelle Richardson, Stashia Hardman and Lisa Peters, from left, stop for a photo op on arrival at the Fall Fashion Show Luncheon at South Shore Harbour Resort. 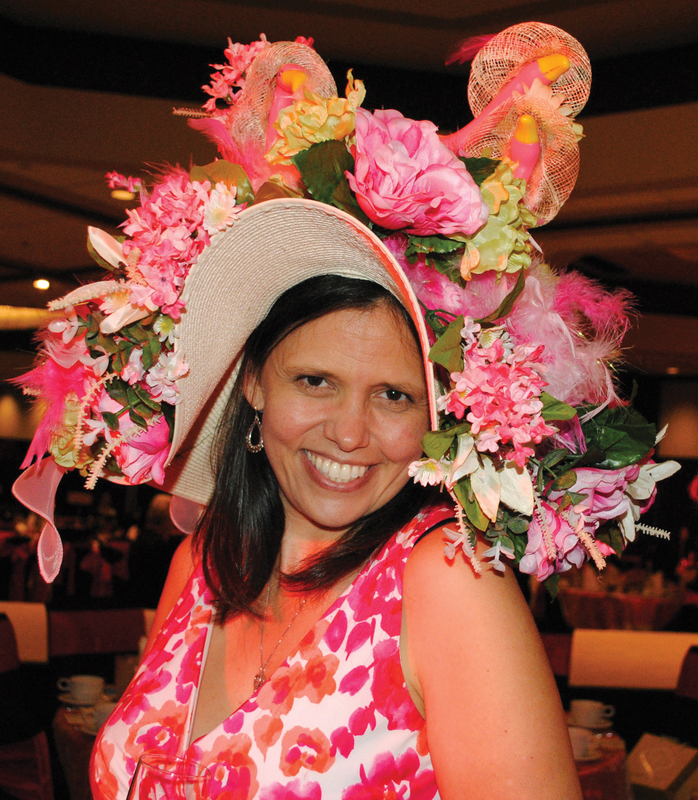 PICTURE THIS: A roomful of ladies all dressed up and in beautiful hats – Kentucky Derby style. That’s the view you would have seen if you had walked into the South Shore Harbour Resort’s Crystal Ballroom during the Clear Lake Area Panhellenic’s annual Fall Fashion Show Luncheon, which this year had a “Run for Scholarships – Derby Style” theme, borrowed from the Run for the Roses by Chairman D’Lisa Johnston and her talented committee. Along the way, you probably would have passed Dan Reason and Jerry Clause dressed as jockeys while Sen. Larry Taylor, Josh Griffon, Dr. John Johnston, Arden Hill, Kenny Koncaba and Thomas Royce served the arriving crowd champagne. While there were no horse races, a bugler had to sound the call to the post to signal it was time for the fashion show, which was directed by fashion guru Lenny Matuszewski Jr. and featured Judge Holly Williams, Laurie Vaughn, Peggy Clause, Wendy Shaw, Ellen King, Karen Weber, Jessica Burgess, Heather Lindsay, Marcy Ortega, Janet Jones, Allison Precise, Amber Allen, Melody Seavey, Annette Dwyer, Debby Reichert, Amy Judd, D’Lexis Royce and Jenny Frantz modeling some lovely fall fashions from Dillard’s. Kristin Leary shows off the beautiful hat she made especially for the Clear Lake Panhellenic Fall Fashion Show Luncheon. 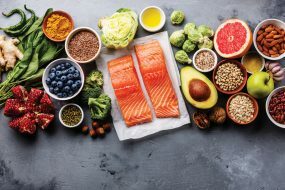 Just a delightful luncheon, as Sue Ellen Jennings, Janet Greenwood, Carole Murphy, Cindy Kuenneke, Lisa Dishman, Kathleen Courville, Kelli Baliker, Diana Shuman, Jo Nell Hunter, Sheree Frede, Dana Brown, Cambrey Rogers, Cathy Osoria, Karen Reed, Ebby Creden, Charlotte Teeter, Angela Swint, Anita Fogtman, Becky Reitz, Pam Culpepper and Carol Bergman will quickly tell you after enjoying the show and then the Roasted Chicken dinner topped off with a yummy piece of Kentucky Chocolate Bourbon Pecan Pie. Still others in the crowd of 300 lovely ladies were Judie Ferguson, Kelly Halbach, Kay Lee Benoit, Martha Bowles, Dewanna Norris, Aggie Bourgeois, Georgia Piwonka, Yvonne Perrin, Karlee Marcom, Lyla Nettles, Mary Ann Shallberg, Kathie Wiley, Lisa Holbrook, Ann Gay, Pat McAllister, Hazel Harron, Karen and Jenny McCorkle, Kelli Byrd, Marjorie McConnico, Sally Jordan, Betsey Ennis, Badiha Nassar, Lisa Long, Lisa Peters, Joy Muniz, Tisa Foster, Renee Ditta, Sheri Leboe and Kim Gurry. And, we must not forget D’Lisa’s hard-working committee – Jo Cat Bruce, Janet Jones, Kim Barker, Karen Douglass, Becky Hensley, Kathryn Vernau, Melody Seavey, Sheryl Williams, Laurie Vaughn, Debby Reichert, Elizabeth McCarty, Greta Mee, Ellen King, Sue Broughton, Barbara Dickey, Ondi Lyon, Lisa O’Brien and Jennie Hampton. Proceeds will help Panhellenic fund scholarships for young Bay Area women. 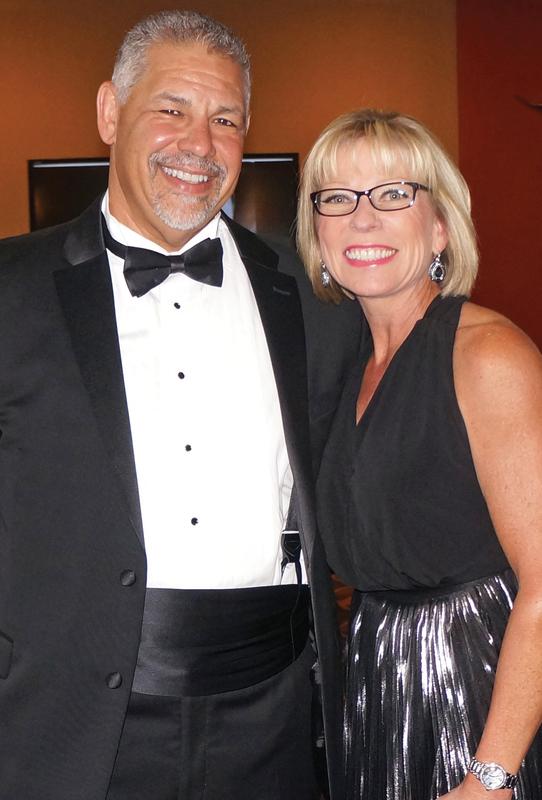 Bay Oaks Women’s Association President Jodi Schnabel and her husband, Kirby, are ready to welcome the arriving crowd as the annual BOWA gala gets underway. CASABLANCA is one of the most famous movies of all time, and Bay Oaks Country Club members got a look back at that era while spending “An Evening at Rick’s” – as they remembered actor Humphrey Bogart and Rick’s Americana Café in Morocco’s largest city. 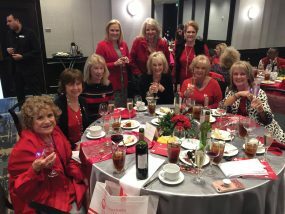 Hosted by the Bay Oaks Women’s Association, the 2016 gala drew quite a crowd, including members of the Bay Oaks Wine Committee, many of whom were delighted with the story the evening told and the elegant table decorations. Gala Chairman Angela Bivens and her husband, Darrell, joined BOWA President Jodi Schnabel and her husband, Kirby, in welcoming the happy crowd, including Glenn and Carlene Langford, Michael and Sharon Phelps, Gene and Eileen Hult, Lance and Barbara Miller and John and Georgia Piwonka. Early arrivals included Sue Ellen and Dr. John Jennings, Angela and Robert Swint, Glynn and Amy Roppolo, Tom and Ann Marie Doolin, Lewis and Joan Wade, Bill and Carol Bobo, Craig and Cindy Zook, Perry and Sue Laabs, David and Dee Wolfe, Randy and Gail Beaty and Margaret and Henry Vail – all ready to party. As they were mingling with the crowd, in walked Dr. Danny Williamson and his wife, Judge Holly Williamson, passing the strolling musician as they admired their cool seating cards, which looked like antique airline tickets. Wasn’t long before they were joined by Tom and Jennifer Verghese, Adam and Trish Taylor, Bob and Linda Herzfeld, Dave and Helen Seitz, Molly and Troy Gorrell, Mark and Cindy Wheeler, Rita and Jim Armstrong, Edward Smith and Beverly Braden, and Patrick and Cheri Burke, who headed over to the casino tables, where “Rick” gave everyone a $2,000 casino voucher. Looking around, you might also have spotted Richard and Jennifer Simmons, Sue Broughton and Randy Allen, John and Danele Buehler, Kathleen and Harold Parrish, Walter Bell and Elisabeth Wilson, Jason and Lea Bodie, Marty and Amy Schweers, Greg McKnight and Adrienne Johnson, Craig and Tonya Moody, Murry and Sandy Lantz and Alex and Megan Prejean wearing big smiles as the Royal Dukes filled the club with music for both enjoying and dancing. Some of the others enjoying the evening in Casablanca were Jim and Janet Greenwood, Will and Karen Reed, Elaine and Randy Rister, Yvonne and Shep Perrin, Terri and Jim Steinkamp, Bill and Tencha Heimlich, Malcolm and Susan Franklin, Lila and Mark Sprague, Tara and Rusty Morrison, Darcy and Sam Santala, Michelle and Derek Hall, David and Megan Griffith, WG and Linda Fincher and Smith and Chris Howland.